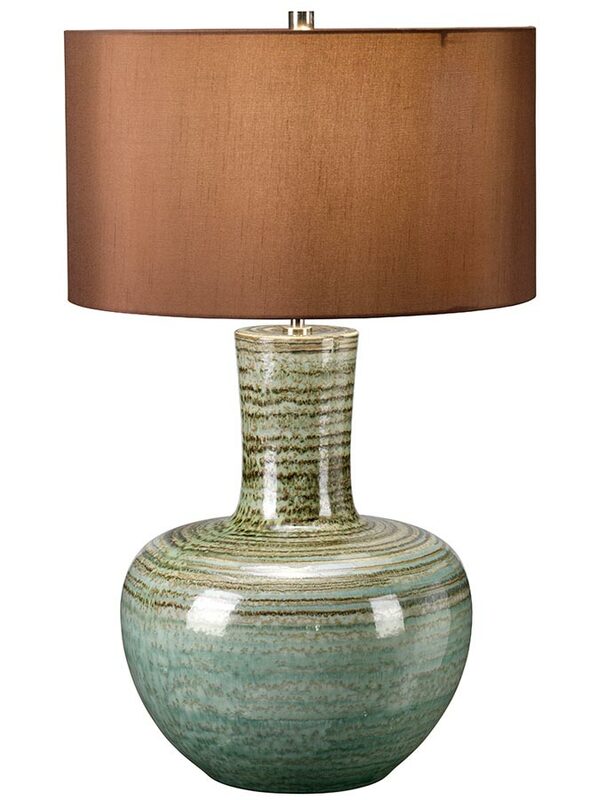 The Elstead Barnsbury green ceramic table lamp with brown shade features a stripy reactive glaze, with graduated shades of green creating a lovely effect. Supplied with a brown polycotton 17″ drum lamp shade and polished nickel finial. 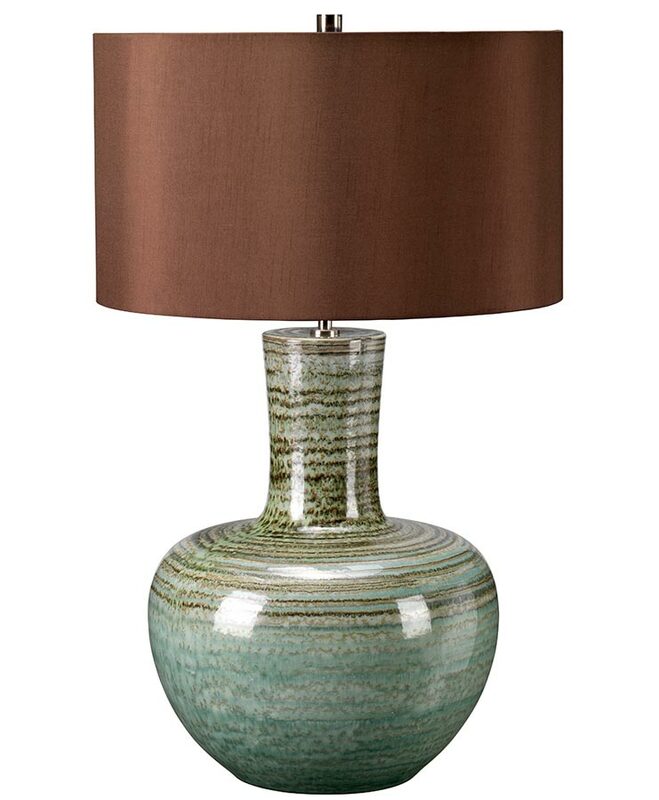 A classic large table lamp that looks great in traditional or modern rooms. 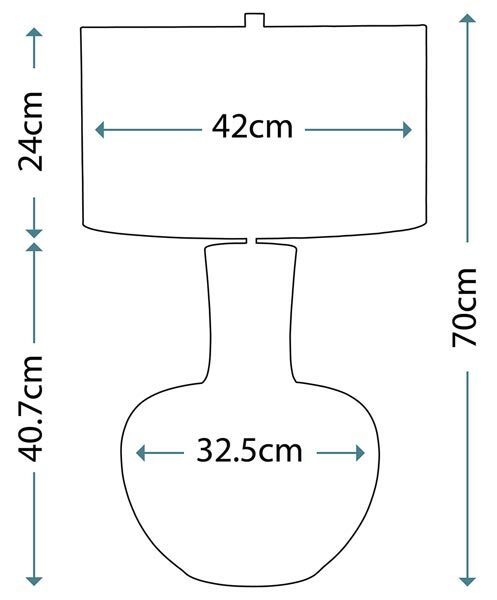 Fitted with a convenient inline cable switch.